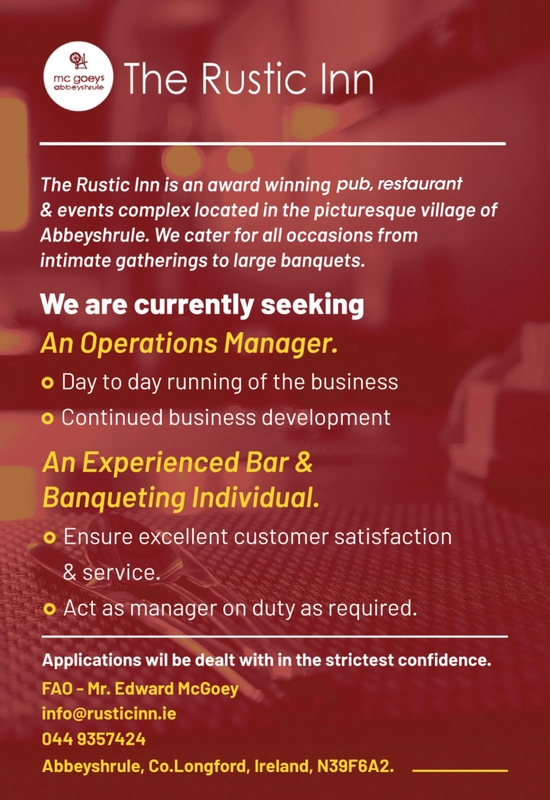 The Rustic Inn is an award winning pub, restaurant and events complex located in the picturesque village of Abbeyshrule. We cater for all occasions from intimate gatherings to large banquets. Abbeyshrule, Co Longford, Ireland, N39F6A2.